This is a sample entry from Tom Dosdall’s newsletter, Technical Ag Knowledge, published on Friday, March 24, 2017. 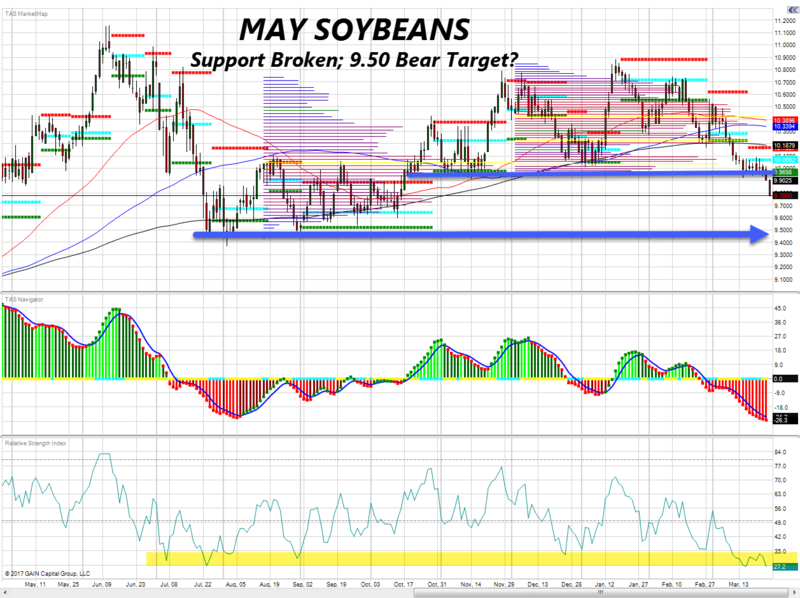 We’ve been pointing out how soybeans have been the only market of the “big three” grains still holding a hefty net long position by the funds and it looks like that may finally be correcting before next Friday’s Prospective Planting report. There is little fresh fundamental news in the market today other than early corn planting delays in the Delta region (acres which have the potential to go to soybeans). We’ve known about the growing South American crop for some time now. The bigger story today, in my opinion, is position squaring and technical selling by some of the big money. Old support becomes new resistance level at 997’0 on the May contract. 950’0 could be the next bear target. 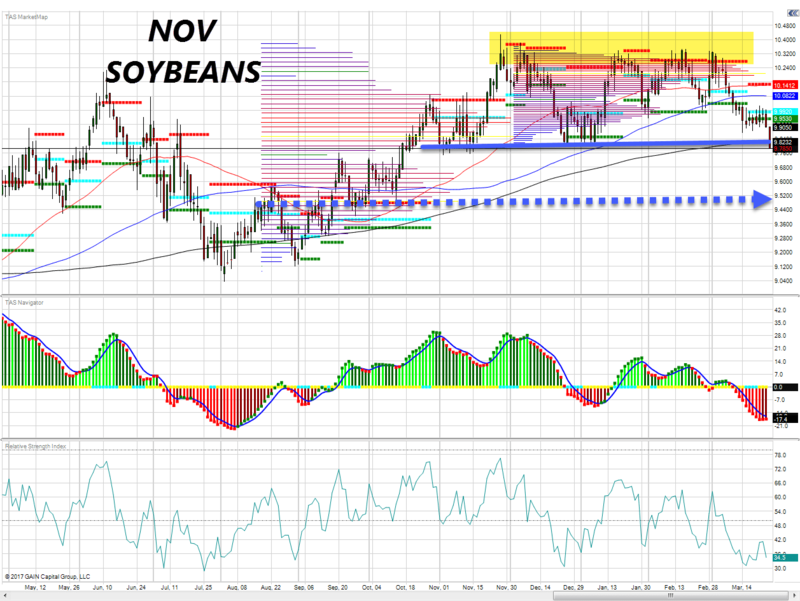 New crop (Nov) has yet to decisively break out but is very close. A close below 980’0 would be below the blue support line as well as the 200 day moving average. If this occurs I think a 952’0 target is next in play. Congrats to those who took action when we were at the 2-Year highs around 1030’0. If you cashed out on the move down to support, you may want to now consider a re-entry on a close below that support line. Otherwise, continue to hold original hedges!